Demolition is about handling the space change, transforming waste (what used to be construction products) into new resources and creating at the same time room for future development. 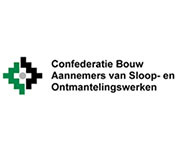 Everyone involved in this process, from the general public to construction product manufacturers, public administrations,… and the demolition industry itself, is very interested to work towards a circular economy (oriented to reuse and recycle as much as possible). Even more, as new legislation from the European Commission was prepared shortly to update the actual framework on waste, it seems reasonable to think collectively on this common goal and propose solutions to the society. 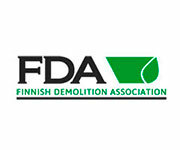 For this purpose, the European Demolition Association, EDA, and Construction Products Europe, CPE (the European Association representing the manufacturers of construction products), organized this activity. Both organizations are umbrella associations, including as members of multiple types of associations and companies from all over Europe, and the meeting is only for members of EDA or CPE. The Thinktank 2014 took place at the Headquarters of the Belgium Confederation of Demolition and Dismantling Works, CASO. The think tank was a morning meeting, with two sessions of debate. There was a panel of experts to introduce the topics and the key goal of the meeting is to engage the participation, with open debates from the members of EDA and CPE. A light lunch was served after the think tank to encourage networking and collective thinking. If the EDA Think Tank 2014 was interesting for you, we kindly invite you to participate in EDA.